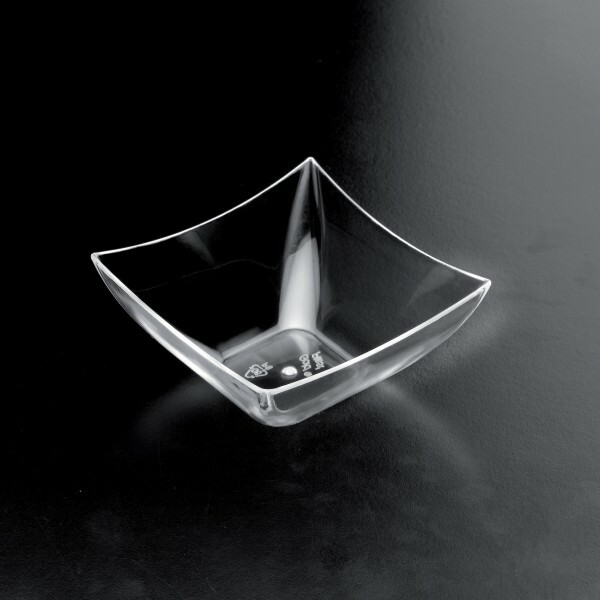 Small, but perfectly formed, what’s not to like about this attractively shaped mini plate? The deep square shape gives plenty of scope for you to get creative about what to place in it. And the gently sloping sides ensure everything stays ‘just so’ until it’s eaten. Holding 95cc, this mini plate is very usable – you could select it to hold individual side portions of salad perhaps. It would also be a good addition to the buffet table, maybe for olives or dips? Clear 95cc Mini Canape Plate x 25 has not been evaluated yet.